I know that eating seaweed may sound a little frightening for those of you that haven’t fallen completely in love with Japanese, Korean and Vietnamese cuisines. Yes, we’re talking about the green wrapper around the rice in sushi and the silky greens floating in Asian soups. But before you turn up your nose, do note that seaweed is full of umami, a savory, meaty taste, meaning “delicious taste” in Japanese. Umami was discovered from seaweed in 1908 and was officially declared to be the fifth taste besides sweet, salty, bitter and sour in 1985. It turns out that this sea vegetable not only tastes amazing but is the ultimate super-food, providing a wide range of nutrients not commonly found in other foods. If you keep an open mind, you can experience the umami flavor while improving your health. Plus, it’s easier than you think to add into your diet. You’re in for a treat! As a dietitian, I spend a lot of time encouraging people to eat sustainable seafood. Why? Because it’s loaded with nutrients that are difficult to find in other foods. Many people are not used to eating seafood and have not acquired a taste for it. Seaweed may be a good place to start. Asian children and adults happily snack on seaweed snacks instead of potato chips and other low-nutrient, high-calorie processed foods, which are taking a toll on the health of our nation. These nutrient-dense seaweed snacks are as yummy as potato chips, once you get used to them! Full of a delicious, savory taste, these seaweed snacks are a great choice when you need a low-calorie snack that despite its salty flavor, is relatively low in sodium. Look for brands with a short ingredient list like seaweed, olive oil or sesame oil, and salt. Pass up on the added sugar and artificial ingredients. Iodine is one of those nutrients that we need but have a hard time eating enough of. Iodized salt is the primary source of iodine in American diets, but now that many of us are using sea salt instead of iodized salt and are trying to decrease our salt intake, we often don’t consume enough iodine, especially if we don’t eat seafood. Even processed foods, which are high in salt, don’t help us get sufficient iodine since those foods use poor-quality, iodine-free salt. Seaweed is an extraordinary source of this missing nutrient, critical for a healthy thyroid and brain health.  Mild iodine deficiency, which is becoming increasingly prevalent, can rear its ugly head with very subtle symptoms like fatigue, depression, a higher susceptibility to disease, and difficulty with losing weight. But don’t go crazy eating too much of the high iodine varieties (kombu, wakame, and hijiki) as too much iodine can be problematic for the thyroid too. Omega-3 fatty acids in the active form of EPA and DHA can only be found in seafood and, in lesser amounts, seaweed. They are important in reducing inflammation, which damages our bodies over time and contributes to diseases like arthritis, heart disease, cancer, and obesity. Plant sources like flax, walnuts, and chia seed do contain omega-3 fatty acids but only in the ALA form, which needs to be converted by the body into the active EPA and DHA form. Other factors compete with that conversion, which is why eating sustainable seafood is important to our health. 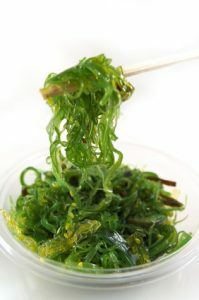 Several studies report that seaweed is an amazing source of phytonutrients that also help prevent chronic inflammation. Also, research published in the Journal of Agricultural and Food Chemistry reviewed 100 studies on the health benefits of seaweed and reported that some of the proteins in seaweed help to reduce blood pressure. 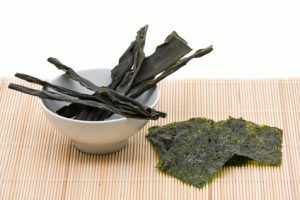 Nori seaweed, the kind usually used for sushi and seaweed snacks, has a lower concentration of iodine, so you don’t have to worry as much about getting too much iodine. It is rich in protein, fiber, vitamins A and C, magnesium, and iron. It’s also one of the few vegetable sources of vitamin B-12, essential for many brain and body functions. Nori also contains the compound taurine, which helps to control cholesterol levels. Kombu, another common variety of seaweed, is used to make a flavorful broth called dashi (the chicken stock of Japan). This seaweed is rich in iodine, calcium, potassium, magnesium, and fiber. 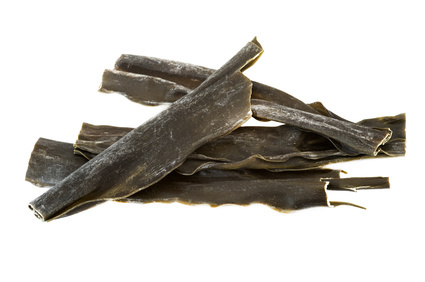 Kombu, sometimes referred to as kelp, is also rich in fucoidan, a phytonutrient that acts as an anticoagulant. This may make be a promising food for cardiovascular health. Throw a four-inch strip of kombu into the pot the next time that you cook beans; the glutamic acid that it contains makes the beans easier to digest and less gas-producing. The benefits of this sea vegetable extend far beyond vitamin and minerals. Scientific studies seem to indicate that seaweed can also help regulate estradiol (estrogen), a hormone responsible for proper development and function of sexual organs, and it may potentially reduce one’s risk of breast cancer. In fact, some claim that the Japanese people’s high intake of seaweed is responsible for the country’s significantly lower incidence of the disease. For the same reasons, seaweed may also help to control PMS and improve fertility issues in women. Seaweed may also play a role in decreasing your waistline. It’s very low in calories at eight calories per ¼-cup serving, and provides soluble fiber that becomes a gel in the gastrointestinal tract, which slows down the digestive process. It also contains alginate, an anionic polysaccharide reported to reduce fat absorption. Researchers at the University of Newcastle claim that this fiber may prevent the body from absorbing fat by almost 75%, thanks to its inhibitory effect on a digestive enzyme called lipase. As mentioned above, too little iodine in your diet can affect your thyroid, causing weight gain. Since seaweed absorbs the minerals from the water and holds onto these minerals, sea vegetables are a rich source of many wonderful minerals, including magnesium, calcium, iron, and iodine. However, in waters that have become polluted with heavy metal elements, seaweed can also absorb unwanted contaminants. Toxicity risks can be prevented through the purchase of certified organic seaweed. Also, the USDA regulates commercial seaweed, which must conform to fairly high safety standards, but it’s important to note that the FDA does not regulate supplements, so avoid seaweed pills. Adding seaweed to your diet is so much easier than you may think. 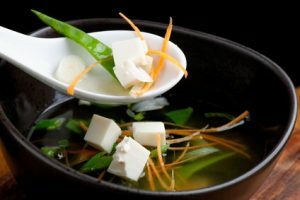 Make homemade dashi broth for soup by simply simmering a strip of dried kombu seaweed in water for 10 minutes. For more specifics as to how to make dashi, check my Soba Noodle Soup recipe. When adding water or broth to a soup or stew recipe, pop in a four-inch strip of kombu. Once cooked, remove the kombu, chop it up and return it to the pot or discard it. Add a two-inch strip of kombu seaweed to a pot of rice, quinoa, farro, etc. Discard the seaweed when the grains are ready. Do the same for beans and toss beans’ gassy effects out with the seaweed. If the cooking time of a recipe is short, soak a strip of kombu in warm water for 20 minutes before adding. 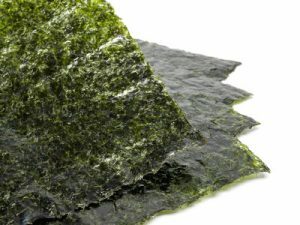 Nori seaweed often comes dried in large sheets ready to be wrapped, rolled, inserted, and cut. Slip a sheet of nori into a wrap before you roll it up. Cut or tear nori to size and layer inside sandwiches and burgers. Roll up your a nori sheet with your filling of choice. You can also add it to salads, soups or stir-fries. Finely chop or snip dried seaweed into mashed potatoes, pasta dishes, stews, and casseroles. Keep a container of kelp flakes on the dinner table and use it instead of table salt for seasoning foods. In addition to these ideas, create your own! Take August’s Healthy Challenge and add seaweed to your diet.